Arroyo says Mesa Airlines mistakenly reassured the enrollee in the Deferred Action for Childhood Arrivals program, that she could. However, US authorities stopped Saavedra Roman on her return to Houston. She is originally from Peru and came to the US aged three. Roman graduated college at Texas A&M and was granted legal status under DACA. According to Roman's attorney she has now been held for more than a month at an immigration detention center in Conroe, Texas. Roman is married to an American citizen, David Watkins, and is in the process of applying for legal residency status. Watkins told NBC that his wife had put Mexico and Canada on her 'no fly' list 'very intentionally' when she was hired by Mesa Airlines. Watkins said he did not know his wife had been sent to Mexico. He learnt by text upon her return that she had landed in Houston but was being detained. Former Democratic presidential nominee Hillary Clinton lent her voice to Roman's plight, Friday. 'This is an awful story: A DACA recipient in good standing was told by her airline she could work on a route to Mexico. 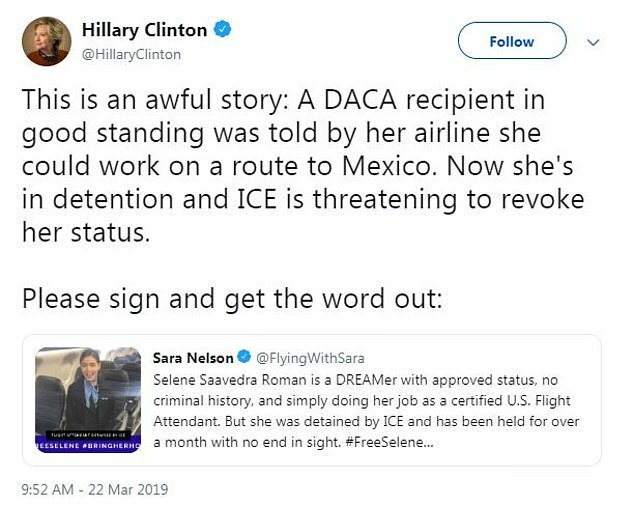 Now she's in detention and ICE is threatening to revoke her status,' Clinton tweeted. She went on to ask people to sign a petition calling for Roman's release. 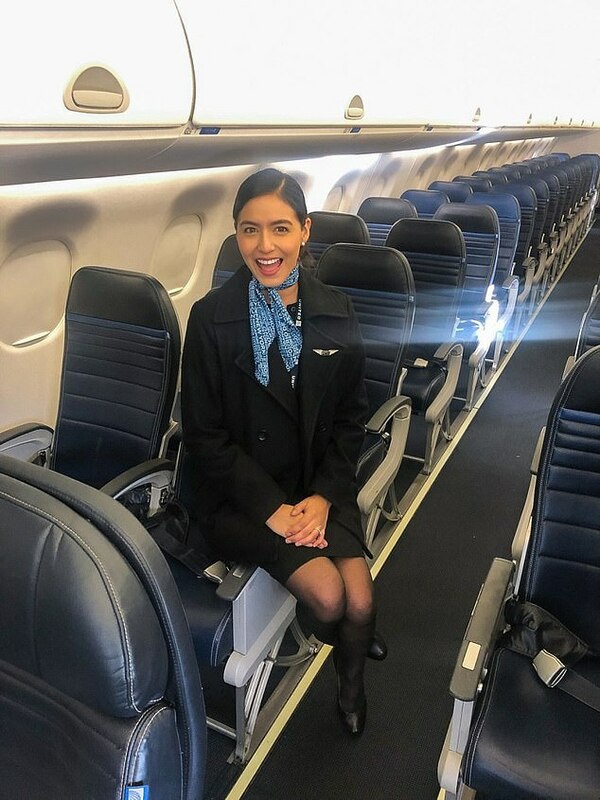 Mesa Airlines apologized and joined the Association of Flight Attendants in also asking for her release.